EatSleepEnjoy is a new web-based venture, offering discounts and offers related to restaurant, cafe and other event/attraction bookings. The main premise is that these offers are often based around specific time-slots. To develop a brand which will help EatSleepEnjoy build a presence as a credible, reliable and professional business, whilst at the same time delivering an interesting, quirky and relevant service. The brand needs to appeal to both clients - the venues whose offers will feature on the website, and customers who ultimately take up the deals on offer. Initially I presented a couple of logo routes, this was selected as the preferred option and further developed to produce a clean, simple brand solution. 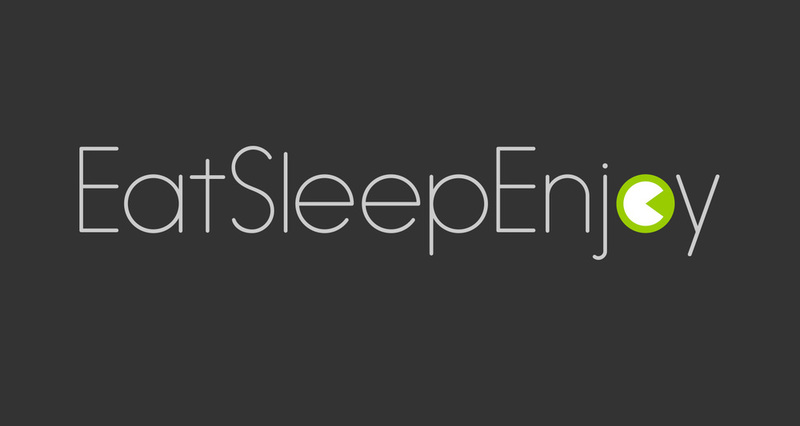 There are 2 main versions of the logo: 'EatSleepEnjoy' and 'EatSleepEnjoy.co.uk', each may be used on dark or light background. The icon in place of the 'o' is intended to hint at the idea of a portion of time, with the position of the time slice sometimes rotated to different positions around the clock. Additionally, it is also reminiscent of a 'pacman' which provides a playful edge, when relating to 'chomping' available offers! A secondary element, the 'geo-marker' is also a key part of the brand - the time aspect is again integral, but it is also a way to pinpoint the locations of available offers on a map. The colour palette extends beyond the core brand green, white and dark grey, to include bright pink, purple and orange which are mainly used to define different sections on the website. The website has been developed by Fuel Digital and is currently in test phase - watch this space! It is quite different to any other websites I have designed before, and was a great challenge in designing responsively and dealing with the complexities of relevant information capture.